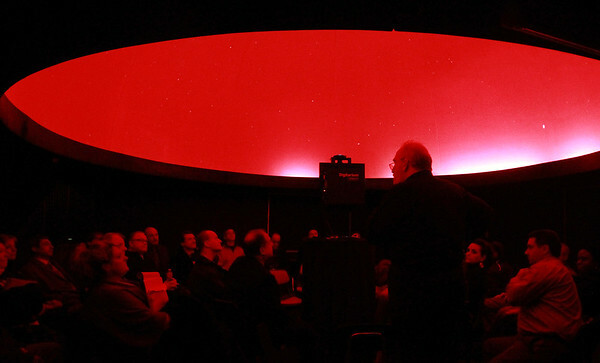 Mr. Howard Murphy, teacher of astronomy at Peabody High School, addresses a full room inside the newly renovated Planetarium on Tuesday evening. DAVID LE/Staff photo. 1/13/15.